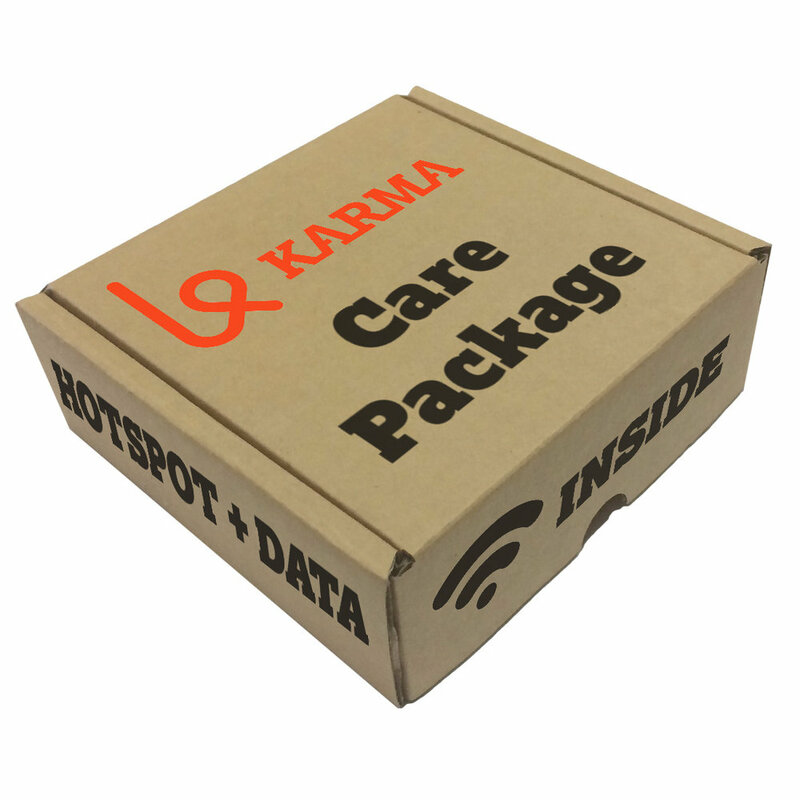 Karma Care Packages (KCP) are available for $99.95 only to students enrolled in a college or university with a .edu email domain. Each package contains a Karma Go LTE/3G/2G wifi hotspot, a USB power cable and an account pre-loaded with 1 gigabyte of data per month for the first semester. This special bundle allows parents to provide and maintain a mobile wifi hotspot and data plan for their kids on a semester-by-semester basis. “College wifi networks are notoriously over-saturated. Too many people on the networks in general, and then on a night when Game Of Thrones is being streamed by an entire dorm or apartment building… forget turning in a paper.” said Todd Wallace, Karma Mobility CEO. Mr. Wallace continued, “On-campus wifi is a bit of a monopoly. Students get what they get unless they are given a reliable alternative. Finals, group projects and research create a critical need for access to the internet on-demand. It is not an optional tool. Too often students put off projects racing the clock to submit at the wire. When a dorm full of students are online submitting projects at the last minute, at the same time, on a saturated wifi network, somebody loses. Karma wifi customers win this game by owning their own ball and bat.” College life is hard. The Karma Care Package allows parents to protect their students from this kind predictable challenge. The Karma Go hotspot is great for studying on the go. In the dorm, in the library or in the park, Karma Go delivers fast reliable wifi internet through a fast nationwide data network. Even out of the way places are home to the Karma Go with its multi-antenna architecture supporting 3g and 2g networks in more rural areas. More data can be purchased by the parents as needed throughout the semester. After the first semester the cost of the Karma Care Plan base data plan will be $49 per semester. Karma Mobility began in 2012 with one simple idea: everyone should be able to get online, everywhere they go. Karma introduced the first peer-to- peer WiFi device that allows users to pay- as-they- go, with no contracts, and is made for sharing. Today Karma is the choice for people on the go who travel for work and leisure, or need an extra connection as a backup or for special circumstances. Karma continues to disrupt the WiFi with innovations like the best in market priced DRIFT pay as you go plan. Visit yourkarma.com for more information.